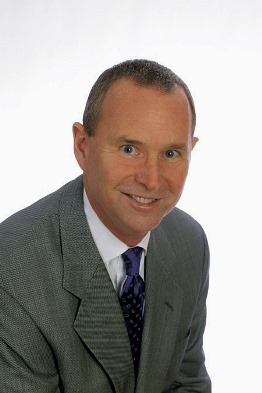 Larry Mersereau is a nationally-known business growth expert, author and keynote speaker. You wrote ‘Shoestring Marketing’ back in 1995, before Twitter, Facebook or even Adwords. Which techniques still works and which new ones do you recommend to your clients who are bootstrapping their business? Heck, back in 1995 almost nobody had a web site yet! Some things in marketing never change. It’s still important to clearly define who your target customer is, then focus all of your efforts on talking to them in the places they’re most likely to hang out about things that are most important to them. The choice of social media depends entirely on where your target customer is. What you post there depends entirely on what your target customer is interested in. Valuable content that will help them solve the problem or fulfill the desire of the day is the only thing that will make them stop and pay attention. You’ve said that companies need to treat their social media accounts, like a publishing business. Can you explain and tell our readers what it takes (to borrow your analogy) to get on a bestseller list. I was referring to periodical publishers. They create an editorial calendar for the year, then spend their time creating or curating content that fits the calendar. Every business is seasonal or cyclical to a degree. You should be timing posts to coincide with those cycles. And you should be creating or finding the content months in advance so you’re not under deadline stress. If you wait until December 1, to create your Christmas season content, you’re going to do it quickly and inefficiently. Plan ahead, create in advance, simplify your life. What is the number one mistake that hinders explosive growth even for successful companies? you numerous times to get to know you. But if you don’t look the same every time they see you, the repetitions don’t accrue. Every time you change your look and feel, even a little bit, you start over. To follow the previous question, what it the one thing that most companies can do to speed up their growth? The fastest growth will come from multiplying your customers. By that I mean going back to customers who already know and love you and 1.) selling them again, 2.) asking them for referrals, and 3.) looking for more prospects who are just like them. Many experts say that we are in the midst of DotCom bubble 2.0 . Of course, no one knows (yet) if it’s true or not, but perhaps you can share some advice what business leaders should do in this situation to make sure that they end up like Google and not like AOL. People are comfortable doing just about everything online. They socialize, learn, shop, entertain themselves…everything. That’s not going to change in the foreseeable future. Can you share your favorite growth strategy resources (books, blogs, podcasts) with our readers? I enjoy the information I get from Hubspot.com, and of course, Bitrix24.com. Bitrix24 gives you Team collaboration software and tools. Use promocode TIP10 when registering your free Bitrix24 account to get extra 10GB.